Peacocks are everywhere in the NZ country side. When we camped for the first time on our 10 acre block in the rolling hills near ‘the village in the valley’ Paparoa I was hoping to see the NZ native birdlife that occupy our little native forest. I was expecting to wake up to the musical song of the Tui, or maybe the chirping of fantails. Instead one of the first sounds we heard was loud screeching of what we know now were peacocks. They look totally out of character in the NZ countryside, with their bright blue and green coloured feathers, and their little stylish crest on their heads. But they seem to love it here, as they are thriving. You see them strolling across the hills and in the paddocks in large flocks, leaving flattened grass behind. You can even see them when you’re driving along State Highway 1. Initially we were very excited, wow peacocks on our land! 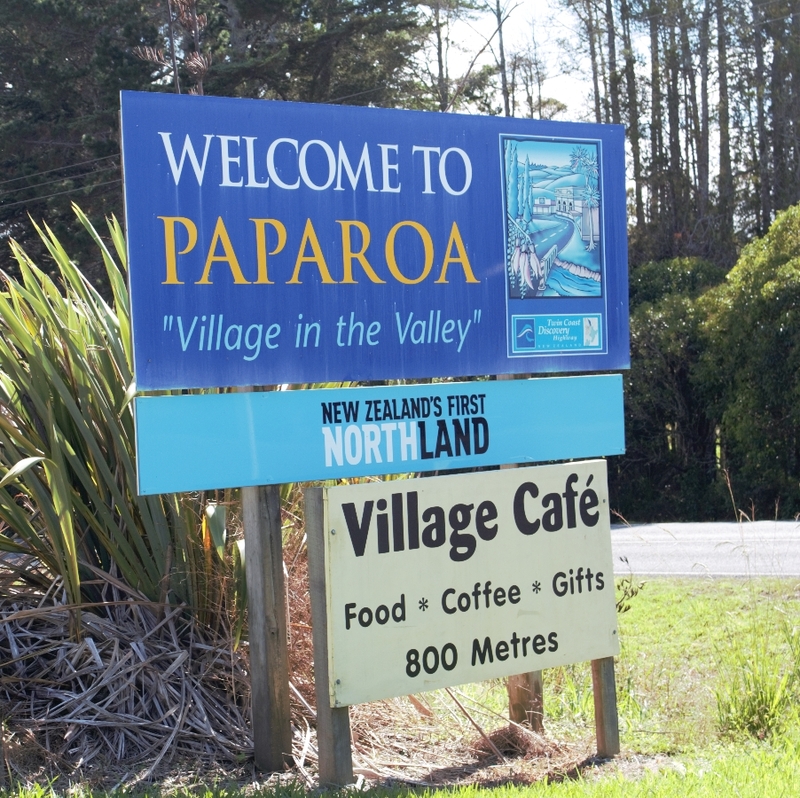 When we told our neighbour, a true Paparoa local farmer, we noticed that he didn’t share our enthusiasm and we got the ‘you city -people’ look. Those pretty peacocks ate his crops ! Having lived here now for several years, we have learned it is indeed better to keep the peacocks away from the areas where you live and plant veggies and fruit. They can indeed be a nuisance. However, I still love their feathers and strutting displays in springtime. To me it is one of the things that actually makes Paparoa quite special!